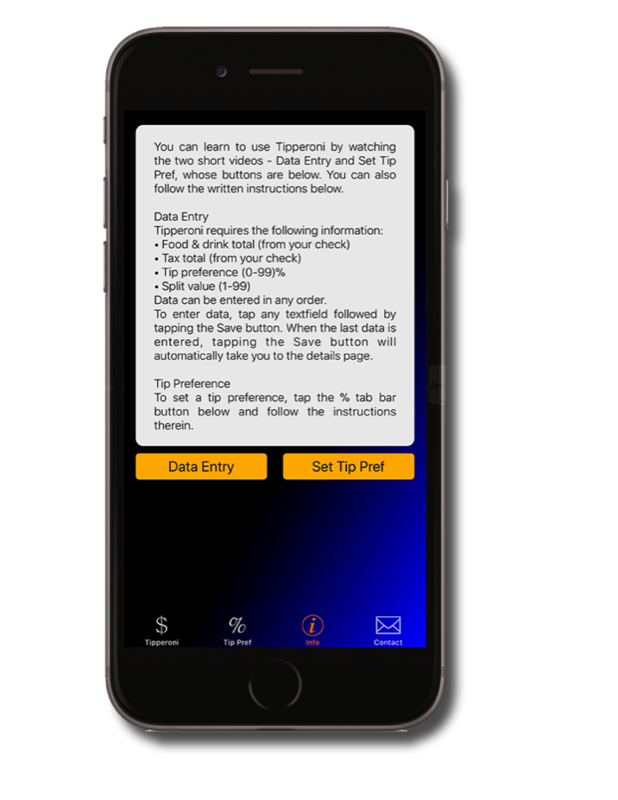 The Info view contains instructions on how to enter data and set a tip preference in Tipperoni. 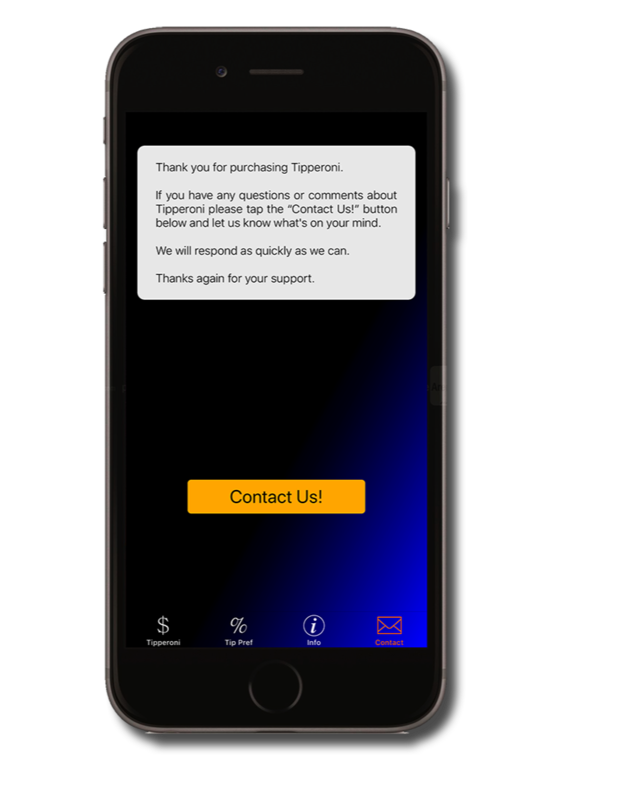 This view allows you to send us an email with comments or suggestions about your experience with Tipperoni. We are always looking for ways to improve Tipperoni, so your suggestions are always welcome.